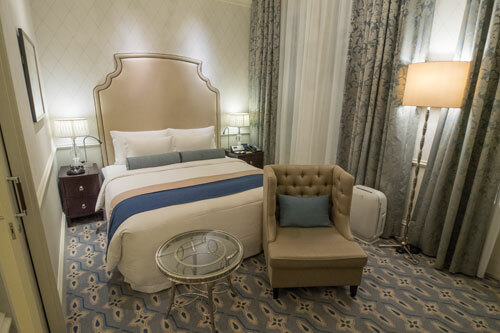 Opened in October 2012, Tokyo Station Hotel offers 150 guestrooms and suites located in the iconic Tokyo Station Building, designed with classic European decor, high-vaulted ceilings and expansive windows. Each guestroom blends sophisticated elements of European classic and contemporary design, while conveying the property’s rich heritage and historical significance. 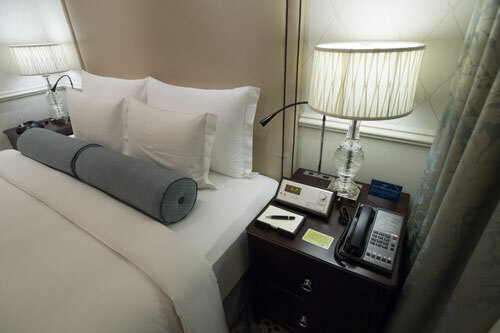 The Tokyo Station Hotel’s guestrooms and suites range from spacious double and twin guestrooms, to the Dome Side and Maisonette accommodations – which offer a unique two-storey layout. Classic Rooms provide ample space for relaxation or business, ranging from 23 square meters to 47 square meters in size. Each guestroom features classic European decor, vaulted ceilings, and expansive windows. Palace Side Rooms overlook the dynamic cityscape of the surrounding Marunouchi area. Palace Side rooms feature a view of the Imperial Palace Gardens, and range from 26 square meters to 58 square meters in size. 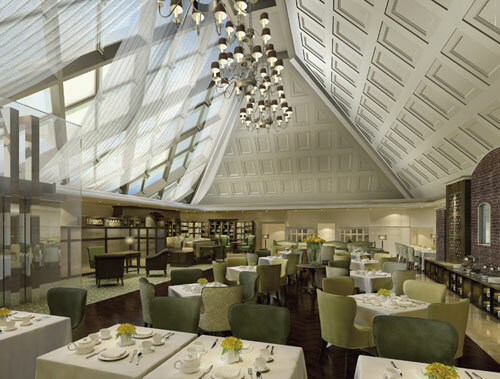 Dome Side Rooms are situated alongside North and South Cupola domes of Tokyo Station, these guestrooms feature 4 meter ceilings and curtains that part to reveal spectacular views of the reliefs on the Cupola dome ceiling of Tokyo Station, as well as the station itself. The Dome Side guestrooms range from 30 square meters to 44 square meters in size. 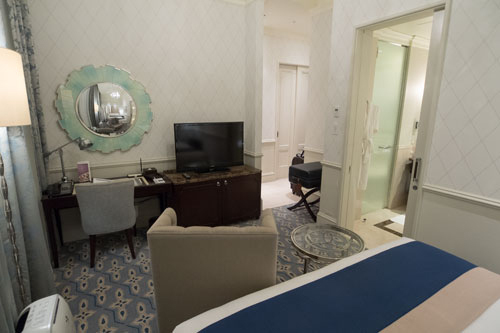 The spectacular Maisonette Rooms are the highlight of The Tokyo Station Hotel. Each Maisonette room consists of two stories, divided into a living room and bedroom and living and dining area overlooking Marunouchi. Each Maisonette room is 65 square meters in size. 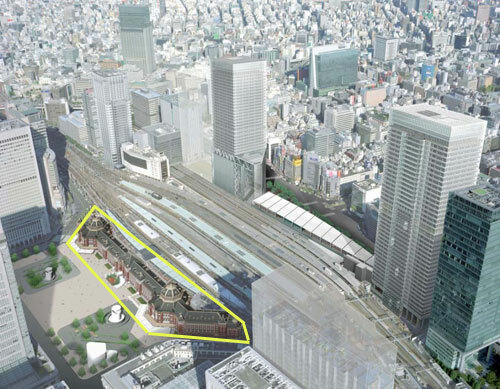 Tokyo Station Hotel is located in the heart of Tokyo, Japan. The hotel is surrounded by numerous attractions including the Imperial Palace, Marunouchi business area and Ginza luxury shopping district. 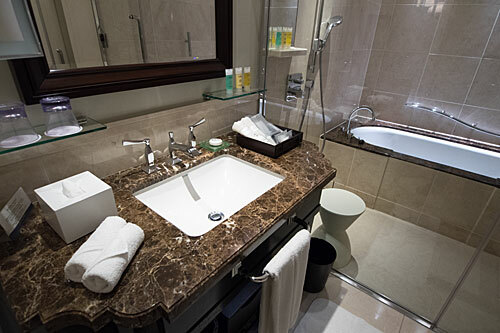 The hotel’s rich history, convenient location and luxurious accommodations and amenities make it the premier destination for both business and leisure travelers. Copyright © 2019 · Tokyo Station Hotel Guide.